Bring some sparkle into your home with this Iris Blue Crystal Prism Suncatcher! 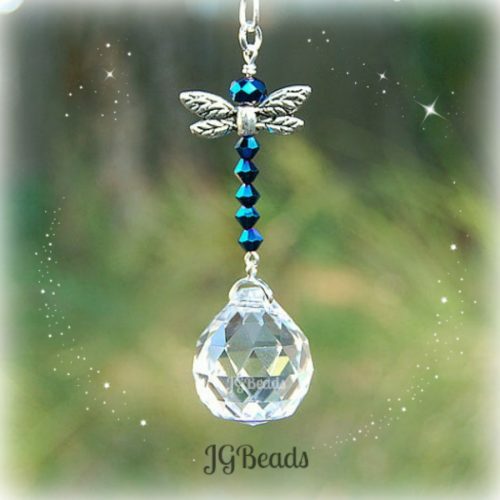 This unique large hanging crystal is crafted for strength and attention to detail with a beautiful 40mm Crystal Clear or AB Clear prism is embellished with blue iris faceted crystal beads along with fancy silver metal crystal beads. 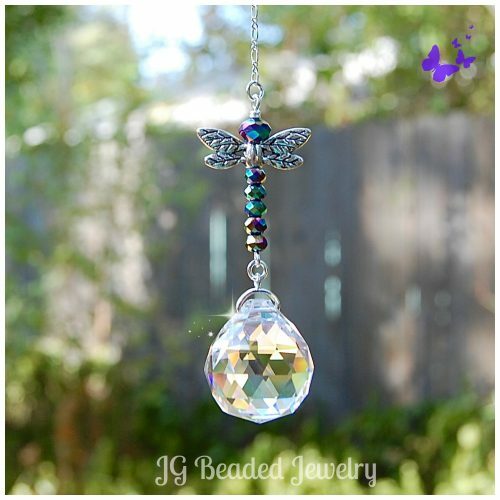 The prism decoration is securely attached to silver chain with a strong silver ring at the top for ease of hanging from a hook and measures 9.75 inches long. 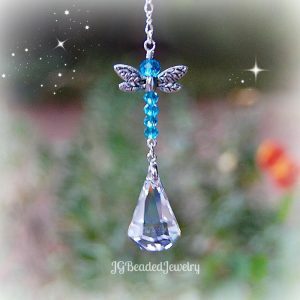 100% quality made with love and care! 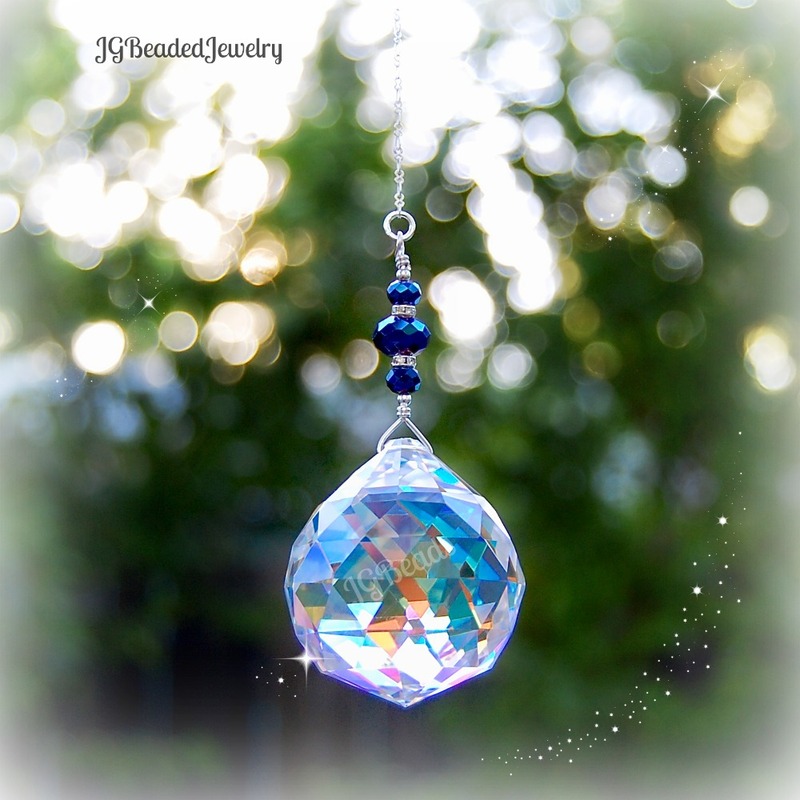 The AB Clear prism has a partial Aurora Borealis finish which assists in creating a vibrant rainbow effect. The Crystal Clear prism will also throw rainbows when in direct sunlight. 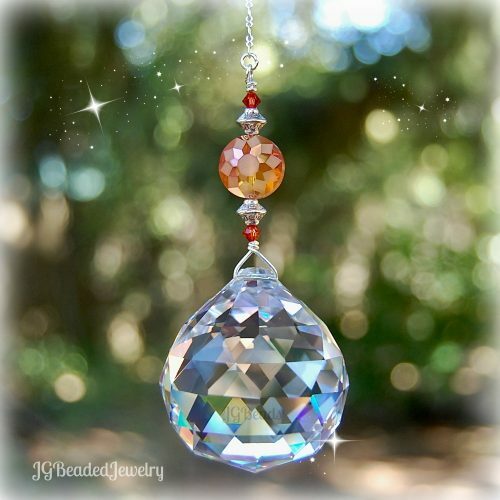 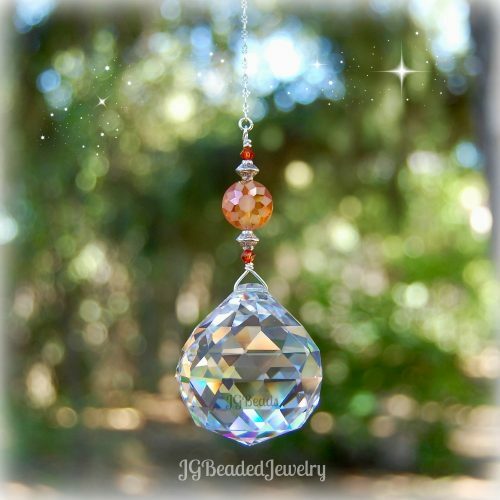 ♥ This prism crystal suncatcher is large/heavy and is NOT intended for the rearview due to size and weight. 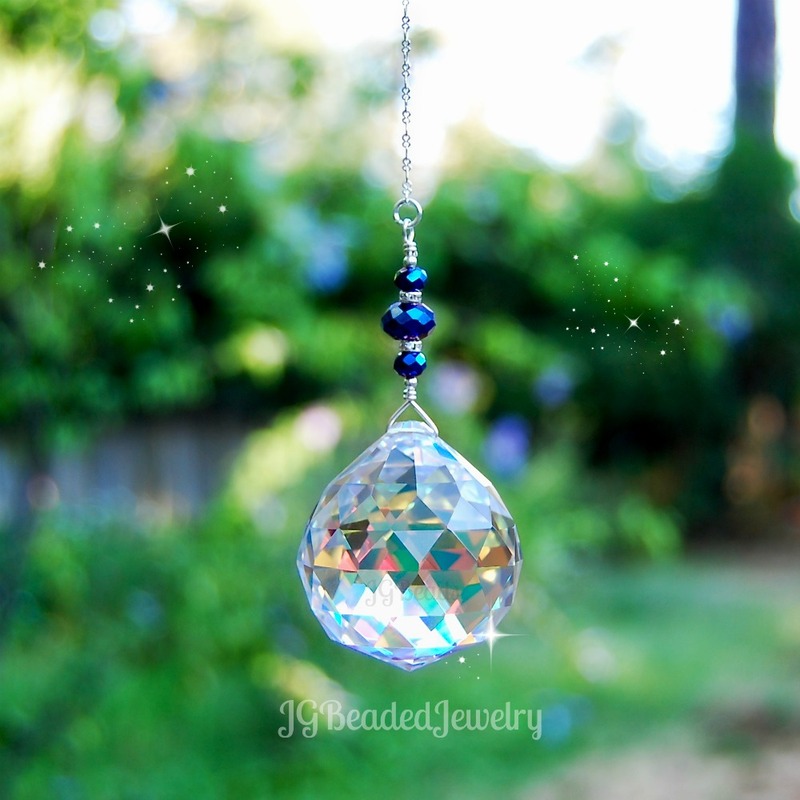 If you would like this design with a smaller prism crystal, send me a message with your request!